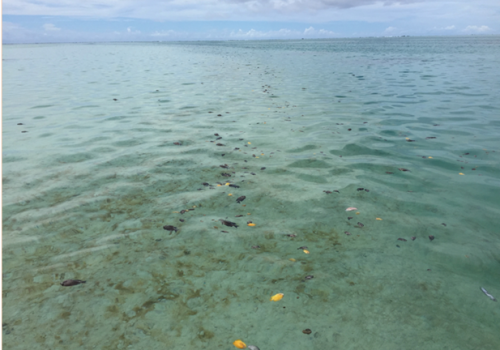 After a sudden occurrence of dead reef fish in the Aitutaki Lagoon, reports of dead fish sightings were summarised and correlated to tide data, rain data and water quality measurements. There was no obvious cause to the death of the fish. Due to the lack of laboratory facilities and in-depth research on either the dead fish or the water itself, the evidence for any direct causal link is low. 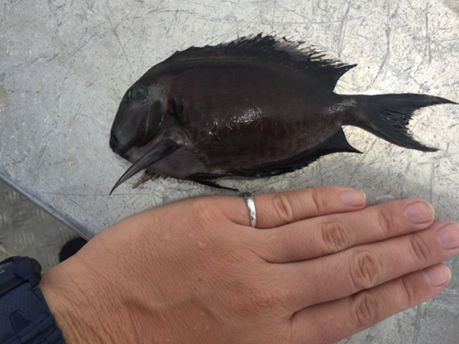 Most fish were already in a fairly degraded stage when sighted on the surface or beach. 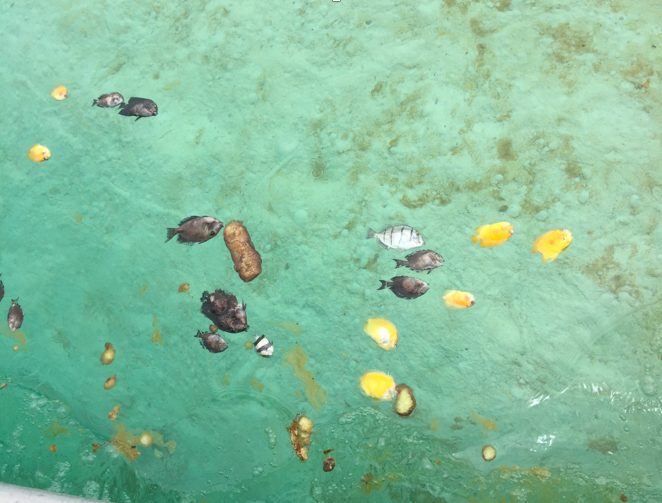 Members of the community said that a fish kill like this had not occurred in at least the past 15 years. Fish kills are not unusual but often linked to extreme events: extreme runoff and hence nutrient input leading to a phytoplankton bloom and subsequent oxygen depletion. They can occur for a number of reasons but low oxygen levels are often the main factor- especially when several different species with different feeding preferences are dying. Oxygen dissolves into seawater from the atmosphere and is necessary for many life forms where different species need different levels of oxygen to survive. As the seawater with higher temperatures and higher salinity is less dense, stratification intensifies and the oxygen carrying capacity decreases. High air temperatures can enhance stratification of the water column especially when the winds cease and there is no mixing. 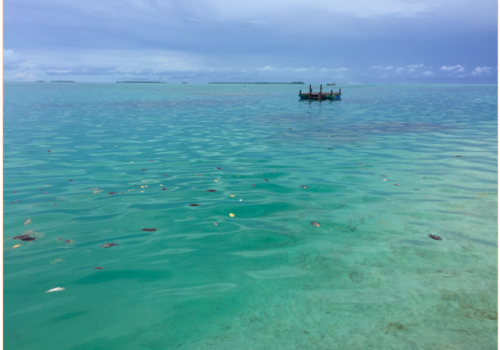 Many tropical saltwater fish require high levels if dissolved oxygen (DO) which fluctuate in coral reefs between 4-15 mg/L and are usually between 5-8 mg/L, as was also measured during this week in the lagoon. Temperature and salinity measurements were generally high in the lagoon at this time of the year, similar to average oxygen concentration in seawater – the water had 31°C and a salinity of about 35ppt (6.14 mg/l). 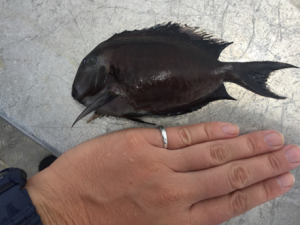 Fish usually avoid waters when DO levels drop below 3.7 mg/L. 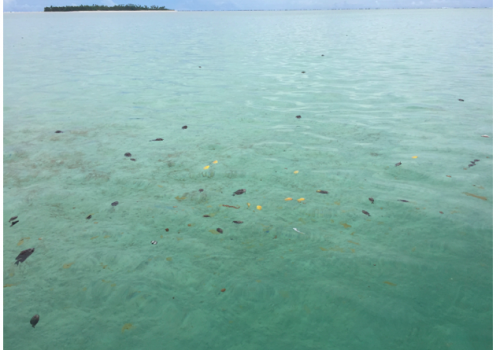 We can conclude that the combination of a spring tide, the low tide during the hottest hours, rain, murky water – potentially from runoff and absence of wind – could have caused the lagoon the develop hypoxic conditions for too long, causing some species to die. Evidence of intoxication from anthropogenic input is lacking. It is suggested to compare the measurements to future incidents to arrive at a clear conclusion about the causes of the mass mortality. All photos were taken on Thursday, 12th January in the afternoon along the sandbank close to the platform near the southwest (Maina). 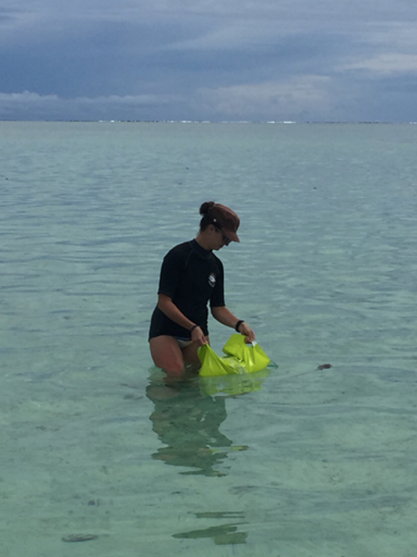 Read the whole article on the Facebook page of Ministry of Marine Resources Cook Islands. Aitutaki, Cook Islands, reef fish. Bookmark.